Your IRA Transfer Options | Janguard, Inc.
IRAs are one of the key tools to help you save for retirement, and the IRS allows for a bevy of IRA transfer options for instances when investors need to adjust their retirement savings plan. The biggest advantage of an IRA is that it offers you a way to save for retirement while taking advantage of the tax savings offered by the federal government. There are three different ways that you can take advantage of the tax savings of an IRA. Traditional IRA: The contributions you make to a traditional IRA are tax deductible. You can lower your taxable income by using this type of IRA. However, you will pay taxes on the money when you begin to make withdrawals. 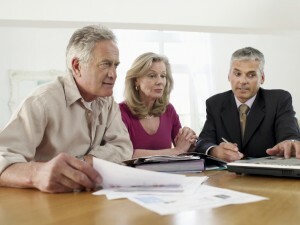 Roth IRA: You need to pay taxes on the contributions that you make during a Roth IRA transfer. However, the money will grow tax free, and you will not have to pay money on any withdrawals that you make from the account. If you are trying to lower the amount you pay in taxes overall, this is the better option. SEP IRA: A SEP IRA transfers works a bit differently from the other IRAs. You can invest in one if you are self-employed or your employer may open one up for you. You can choose a traditional or Roth SEP IRA, and the contribution limits depend on who opened the account and the amount that you make each year. Many people mistakenly think that once you open an IRA, you must stick with the same provider. You do have the option of changing providers if you are no longer happy with the service you are getting. For example, if your IRA provider has started charging higher fees, you may be considering a transfer. IRA choices are available to help you lower the fees that you are paying each month. Your IRA custodian will determine the different options you have when you want to invest. It is important to understand the types of accounts the different custodians offer, as you consider your IRA transfer options. This will help you to choose an account that has the type of investments you want. Banks and credit unions allow you to invest in Certificates of Deposit (CDs) when you open an IRA with them. The money is guaranteed up to $250,000 by the FDIC or NCUA, which protects it. However, the rate of growth on CDs is often lower than the rate of inflation. This makes it a poor choice if you are years away from retiring. Traditional investment firms will allow you to choose from a variety of mutual funds that they offer. You can choose depending on the amount of risk you want to take on your investments. This is a good option if you do not know much about investing or you do not want to spend time worrying about your investments. A self-directed IRA gives you the opportunity to diversify your IRA investments. You can invest in stocks, mutual funds, property and even gold. The rules surrounding this type of account are very strict, and you need to carefully follow them to avoid penalties. This is a good option if you want more control and the opportunity to diversify your investments. You will need to look for an investment firm that offers this option specifically. When you change IRAs, you may want to change the type of IRA that you have. 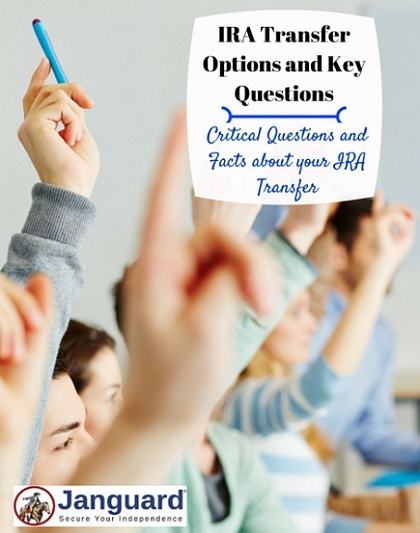 There are several transfer IRA options available depending on the type of account you want to open. You may want to switch from a traditional IRA to a Roth IRA. Another reason is that you want to switch from traditional investments to a self-directed IRA that offers a wider variety of investment options. You do have the option to switch from a traditional to a Roth IRA. However, when you make the switch, you need to be prepared to pay the taxes on the amount that you have in your traditional IRA. If you use the money in your IRA to do this, you will also incur the early withdrawal penalty. If possible you should save up the money that you will need to cover the taxes and pay for it out of pocket. You can talk to your accountant about how this move will affect your tax picture overall. It may not be the best move because it can bump you into a higher tax bracket. This is a fairly easy process, as long as you are not changing from a traditional to a Roth IRA. You will simply need to fill out the correct paperwork and transfer the money within the allowable period. It is easiest to begin by contacting your new provider and opening the account, and then having the money transferred over by your old IRA provider. They can do this through wire or electronic transfer or by sending a check. Although this is possible, it simply does not make sense to do this. When you do this, you will pay taxes on the money twice, when you first put it into a Roth and then again on the withdrawals that you take out. Once your money is in a Roth IRA, you should leave it there. You can have more than one IRA, as long as you follow the contribution limits each year, and do not go over, even with combined contributions. If you have retirement accounts with previous employers, like a 401(k), 403(b), or 457 plan, you may want to move the money into an IRA. This is actually called a rollover. You will go through nearly the same process that you would when transferring providers. You will open your new account and then have the old provider transfer it to the IRA. It is easiest to transfer a traditional 401k to a traditional IRA, and to transfer a Roth 401k to a Roth IRA. However, you can switch from a traditional to a Roth if you are willing to pay the taxes now. As you consider your IRA transfer choices, you need to be prepared for any possible fees and taxes you may need to pay. Some IRA providers will charge a transfer fee in order to make the transfer. You should plan on paying for this with your own money instead of the money in the IRA to avoid fees and taxes. If you are switching from a traditional to a Roth IRA, be sure to talk to your accountant to make sure you have enough money to pay the taxes to avoid the early withdrawal penalty. Be sure to carefully review all of your options, IRA transfers allow you to chose the best account to reach your long-term goals. 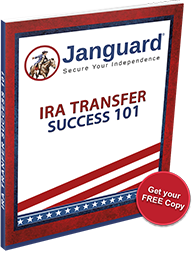 If the aforementioned IRA transfer options sound attractive and you believe you can better secure your financial independence with a Janguard IRA, call 800.571.6341 today and speak with one of our IRA advisers. They are non-commissioned and their expert, obligation-free retirement account evaluation can answer any of your IRA transfer questions and put you on the right track for your retirement.